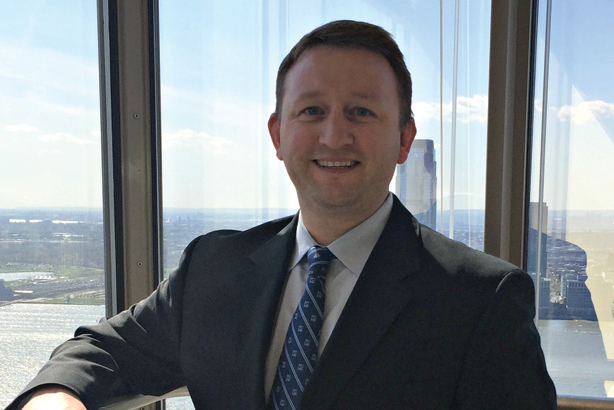 As the evolving regulatory environment and emerging technology continue to buffet the financial industry, Bank of America depends on Matt Card, SVP of communications and media relations, to drive positive results. During his 10 years with the bank, Card has earned the trust and praise of the company’s senior-most executives and communications colleagues for his ability to drive successful media campaigns and internal communications, while also addressing reputational issues facing the company and the industry. In an often-challenging media environment, Card proactively generates ongoing, positive visibility in support of key initiatives, thought leadership, client success, and a range of capabilities. In 2016, his efforts contributed to more than 2,000 stories in top business, trade, and broadcast media. Card’s skill in overcoming difficult situations at one of the largest companies in the world is matched by his leadership, writing, and promotional prowess. His ability to dig deep within the organization to find the perfect story and craft strategic messaging that will drive growth continues to be a valued asset. Over the past year, Card created a new media program focused on storytelling through the eyes of bank subsidiary Merrill Lynch’s clients and their financial advisers. The Voicing Success initiative has led to more meaningful, differentiating stories about helping clients achieve their goals. This program has already led to more than 100 client-focused placements in The New York Times, The Wall Street Journal, USA Today, The Huffington Post, and many others. Based on feedback from advisers, these stories have led directly to new client relationships and millions of dollars in new assets from existing clients coming to the firm. When recently proposed Department of Labor rule changes threatened to damage the health of the organization, Card worked with top executives and the team to develop strategic messaging and generate coverage that positioned the company as an industry leader — turning a challenge into an opportunity. Card’s latest challenge is leading internal and external comms for Bank of America’s chief investment office and investment solutions group, an area core to the company’s strategy and growth potential. He is responsible for media relations for the Bank of America’s Global Wealth & Investment Management division, including Merrill Lynch and U.S. Trust, one of the largest wealth management businesses in the U.S. with more than $2.6 trillion in client assets. Card served as a primary media contact during the financial crisis, one of the most turbulent times in Bank of America’s history. For two years, he was on the front lines, guiding executives and fielding inquiries as public skepticism peaked and the company worked through the controversial acquisition of Merrill Lynch. In 2015, he drove communications and media strategy surrounding Bank of America’s participation in the White House Conference on Aging, where he joined company executives, President Obama, and a community of advocates to discuss the changing landscape of longevity.